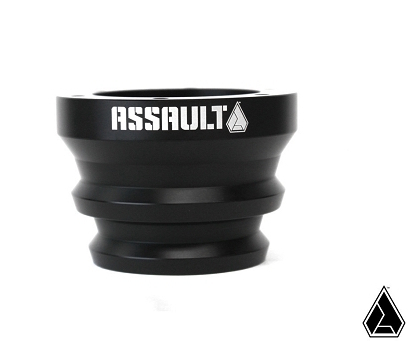 The Assault Industries steering wheel hub is designed for use with Assault Industries Steering wheels and quick release adapters. CNC machined from a solid chunk of 6061 T6 aircraft grade billet aluminum, the hub proves to be a robust upgrade from the OEM setup. 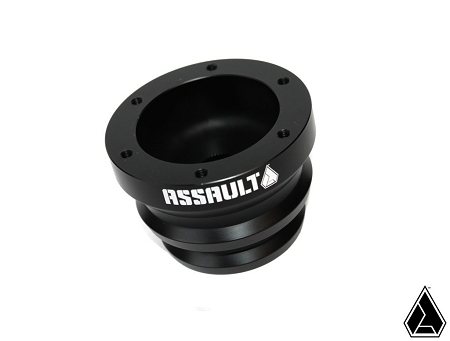 The hub is hard anodized black and finished with a laser engraved Assault Industries logo.